Nisha Susan is a writer. She lives in Bangalore, the city that she thinks of as home. She grew up in Bangalore, Nigeria and Oman. After graduation, Nisha spent several years writing for non-profits and working among large groups of activists. She then began a career in journalism in New Delhi, where she rapidly rose to Features Editor at the investigative magazine Tehelka. 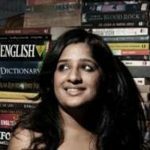 She has since written for a range of publications from Vogue, Elle, The Hindu, Times of India and Hindustan Times largely on gender and culture. In 2009 Nisha Susan was the founder of the widely acclaimed Pink Chaddi Campaign against right-wing vigilantes. Time Out, Delhi included her in its list of Top 10 Activists in India, while Femina magazine included her in its list of India's 35 Most Influential Women, Under Age 35 and MSN India named her Woman of The Year. In the campaign’s moment of micro-fame it was covered by a disturbingly eclectic range of media outlets from Fox News to The Guardian to the Rachel Maddow Show. In 2013 she co-founded a boutique media company Grist Media. Under her leadership Grist Media has since won a slew of national and international awards. Also in 2013 she also fulfilled a long-cherished dream of founding an online magazine for women – The Ladies Finger. Over the last three years TLF and its reportage has been written about in every major media outlet in India and a few abroad. Nisha’s short fiction has been published by nplus1, Penguin, Zubaan, Out of Print and Pratilipi.